12 year old Dublin rider Shane Mooney has been selected to compete in the British Talent Cup next month in Silverstone. 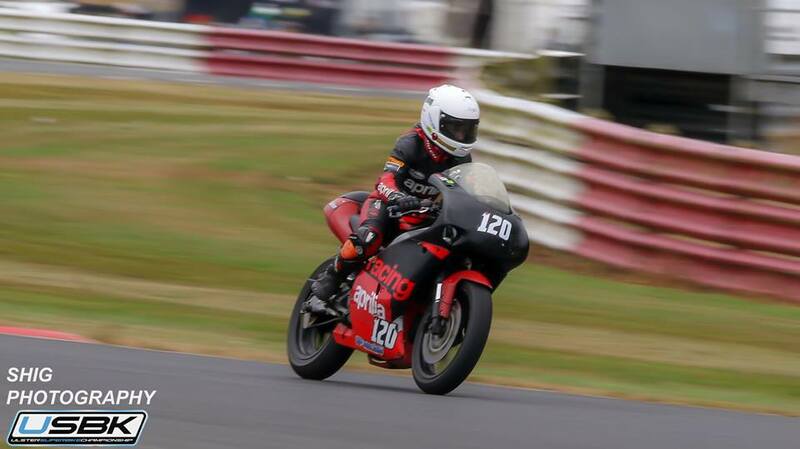 The British Talent Cup is seen as an important stepping stone from National Short Circuit Racing to MotoGP class and participation is by invite only. The selection process begins on August 21st with a track day on the Dorna supplied CBR250r machines around the Silverstone circuit. The results will be made known at the last British Talent Cup race of the year in Valencia. 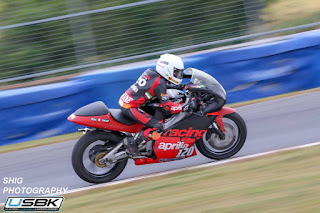 British Talent Cup races are ran on the same weekend as some Eurpoean MotoGP and World Superbike Rounds such is the importance of the series. Shane is currently competing in Irish Short Circuit racing on a Production Aprilia RS125cc two-stroke machine. 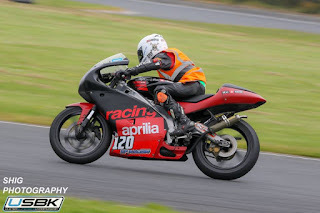 With the results so far this year in the Dunlop Tyres Young Guns championship Shane has finished in the points in almost every round and sits in 8th place in the leader board, despite missing the first two race meetings in Kirkistown and Bishopscourt. His most recent meeting in Bishopscourt netted him 39 points in total, finishing the four races in 5th, 6th and 7th over the weekend while taking valuable seconds off his lap times in the process. 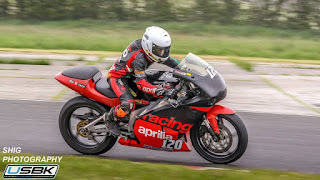 Even with the positive progression of racing on Irish circuits, Shane will be in talented company of older riders with experience of the Silverstone track so, nothing is guaranteed. There will be many mentors available on the day to help the riders, some such as Jeremy McWilliams lent a hand to last year’s Irish entries. 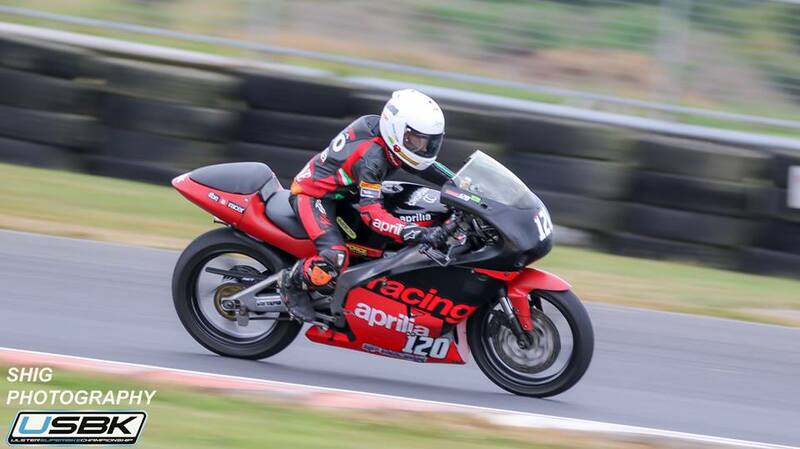 Previous Irish invitees to the British Talent Cup include Donegal’s Rhys Irwin, who was successful in selection. He currently races in the UK on the Motorcycling Ireland Honda NSF250 Moto3 bike. Best of luck Shane, we’ll be keeping an eye out on August 21st!